Occasionally, The Legal Genealogist simply feels snakebit. Part of it comes from having southern ancestors. My entire maternal side comes from south of the Mason-Dixon line. Or where the few records that ever were created and did name our people were in that courthouse when it burned. Ah yes the joys of southern ancestors. So every so often I will do what we all do as genealogists — turn my attention to a branch that’s just a little less challenging, at least for a time. Like my father’s side of the family. Where the records, assuming you can find them, aren’t in English and aren’t even in a script that resembles any script you’ve ever learned to read, assuming you could read German in the first place. That’s a whole ‘nother story. A few minutes because — sigh — there is essentially nothing available on Reuss j.L. And under “Did you know?,” the only entry is for research problems and strategies, the first of which is for finding the fathers of children born out of wedlock. Like my great grandfather who lived in Reuss.6 And we’ve already tried all of those… without success. Even in the catalog there is — let’s see here — one book on emigrants before the first of my family members emigrated,7 and some reference works on the nobility,8 and not much else. See what I mean? You have to feel just a little snakebit. 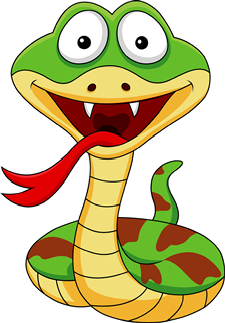 So why is the snake you see here smiling so broadly? Mein Name ist Moni und mein Urgroßvater war Paul Franke aus Gera *18.05.1884, seine Eltern waren Friedrich Gustav Franke und Emma Ida Graumüller *18.07.1853 in Bad Köstritz. Deine Webseite hat mir sehr viel Freude bereitet. Ich wusste nicht das ein Teil der Familie Graumüller nach Amerika ausgewandert ist. Ja wie Du schon schreibst ist es nicht leicht an Daten aus dem Ostteil Deutschlands zu kommen. My name is Moni and my great grandfather was Paul Franke born in Gera 18.05.1884, his parents were Friedrich Gustav Franke and Emma Ida Graumüller born 18.07.1853 in Bad Köstritz. Your website has given me a lot of joy. I didn’t know that a part of the Graumüller family emigrated to America. Yes, as you write, it is not easy to get data from the eastern part of Germany. Which makes Moni, if my analysis is right, my third cousin once removed! I feel very snake bite since so much of my father’s side is from the Carolinas and Alabama. They may forever remain a mystery. Congratulations! You’ve given me hope that perhaps someday a cousin will contact me through the blog post I wrote about my ancestor who was born ‘out of wedlock’ in England. Good luck, Liz! Blogs sure can be powerful cousin bait — even if the cousins speak another language! Congratulations on your new cousin! And I feel your pain in regard to missing records. It’s enough (to borrow a phrase from “1776”) to depress a hyena! “Enough to depress a hyena”! Love it! Congratulations on finding a cousin. I recently found I have German ancestors on my father’s side. I have not started the search in Germany yet. It looks like I may have a steep learning curve a head of me. A course in German research goes a long way towards smoothing out that learning curve, Michael! I took Warren Bittner’s course at SLIG. Sometimes it turns out you have to throw a little money at the problem. Last year, I hired genealogist Christian Andreas Hoske, who is located in Thuringen, to do church record research for me in Thuringen. He was able to trace back one line several generations. His web site is http://christian-hoske.de/home-genealogist-c-a-hoske-in-germany/ and his email address is [email protected]. Thanks for the info, Dru! Read every email from the blog, been many years since I tried to read Deutsche. Stationed over there from 1960 to 1963. Actually could recall some of it but was nice that you had the translation Judy…Hot Damn! My German is still pretty basic, Stan, but good enough for this! Wunderbar! I am flirting with the German border as I have a few lines in Alsace. I still read German pretty well which helps for the records between 1872 and 1918 that are written in German and not in French anymore for that period. But German written in the Gothic alphabet….I cannot read it, especially in cursive, so I feel your pain! Thanks — I’ll need all the luck I can get! We’re all pretty darned stubborn, and we Germans more than most! Thanks! LOL, love the first footnote!! Love your blog! I had to laugh as I replaced your locations with my Irish townlands. ” the Wiki page reads: “(Add text and/or an image here).” – I see that phrase in my sleep! So happy for your success. Good luck with her DNA. The FamilySearch Wiki Governance Council hopes to convince FamilySearch to develop the German section in the near future. Hope it works! So it’s been two days – has Moni spit in a tube yet? ;-). Congratulations! How wonderful to find a cousin! I had luck that way in Westphalia. However, just wanted to say not to give up. Your town of Bad Köstritz is smack in between where I have Thusius ancestors in Eisenberg and Gera. No, I haven’t found any Graümuller. I am fortunate to have a research buddy who is German and has helped with my research when I’ve gotten stuck. However, we ran across Heiko Kertscher while doing research at the Eisenberg Lutheran church archive who will do look-ups (for a price) at churches in the area. That was 4 or 5 years ago but he still has his web site. He took photos of the records and sent pdfs. His web site is http://www.family-history.de. It is supposed to have an English button but it doesn’t seem to do much. Might be helpful or not… Was just very interested to find someone else with ancestors in this area. How neat! This encourages me to begin blogging more regularly in 2015. 🙂 I hope she’ll share some DNA! Glad to hear you’ll be writing more! I also have some relatives from Alabama (Russell County). My GGG Grandfather was Col. Gilbert C. Russell for whom Russell Co., AL was named. A gold and ivory brooch that has a hand painted picture of Col. Russell on the face was handed down through the family to me. Are we related? I look forward to attending the seminar that you are presenting on Feb 25, 2015 in The Villages, FL. Russell is a married name for me, Ben, and my husband’s grandfather was Italian and anglicized the family name, so nope, no relation I’m afraid. Too bad. See you on Feb. 25th.